In 2016-2017, a team of young Russian explorers plans to ski to the polar ice cap unassisted, as Arctic pioneers have done. 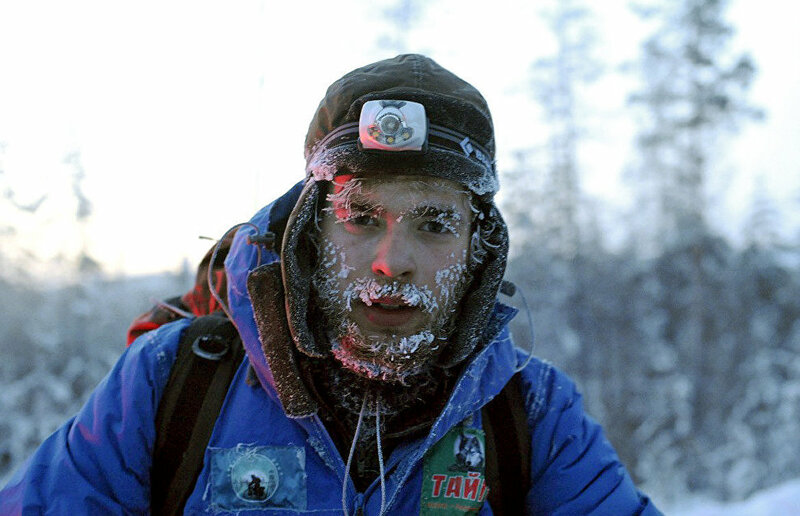 The expedition organizer, Ioann Chechnev, a Tomsk-based explorer, told arctic.ru how the idea of the ‘Overcoming the Arctic’ project came about, why it is necessary to revitalize young people’s interest in the Arctic and why it is important to overcome your apprehensions in difficult situations. Ioann, tell us about your road to the Arctic. 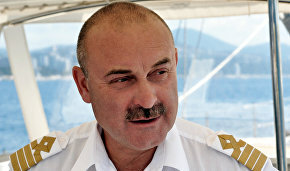 How did the idea of the ‘Overcoming the Arctic' expedition come about? Despite my young age, I've been organizing expeditions and trips for many years. Regarding international expeditions, last year, we successfully did a cycling expedition called Memory Trails to the sites of former GULAG camps in Yakutia. Besides me, the expedition members included Tomsk-based traveler Yegor Kovalchuk and Polish cyclist Krzysztof Suchowierski. The expedition took place under extreme conditions. Temperatures dropped to —55 degrees Celsius. Nevertheless, we travelled over 3,800 km to the Arctic Ocean shore in 76 days. Perhaps the expedition became a turning point in our plans to go to the real Arctic — that is, to floating ice. So when we returned from Yakutia we realized that our next challenge should be the North Pole, especially since we'd dreamed about it for a long time. That was how the ‘Overcoming the Arctic' project came about. To me, the Arctic is part of my life, even though I've never been to the North Pole, I've always dreamed about it. What is this project? How do you plan to organize the expedition? It is a Russian youth sport expedition. We plan — for the first time in the history of Arctic development — to ski to the North Pole across drifting ice as part of a youth team (participants under 30) without any assistance. When I say "without any assistance," I mean without any food dropped by helicopter, etc. — in other words, in the same way as Arctic pioneers did. 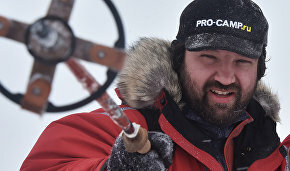 When the idea came up we met with known Russian polar explorers and travelers: Fyodor Konyukhov, Dmitry Shparo and Mikhail Malakhov, among others. They supported us and agreed to provide expert assistance to the project. Besides the sport component, we concentrated on the educational part of the project. One of our expedition's objectives is to promote Arctic studies among young people in Russia. Indeed, today, there's a big divide between the known polar explorers and the young explorers just starting out. Actually, there aren't many young polar explorers. In other words, they have no followers to pass the baton to. But still, at one time they were the same kind of boys who were obsessed with the Arctic and dreamed about reaching the North Pole. So our mission is to narrow the gap. Through our activity, we want to bring more young explorers to the Arctic. We're also working on the scientific component of the expedition. In other words, we want to do some research on floating ice. The ‘Overcoming the Arctic' project will be done in two stages. Stage one: in the spring of 2016. We plan to travel to the New Siberian Islands, to the floating ice, to get our first experience in skiing across drift ice. The team will include young explorers. It is a preparatory stage. Stage two: 2017 — is going to the North Pole. Who will go on the expedition? We'll have a small team — three or four people. Why? First, it's difficult to find young people in Russia who can make this challenging trip to the North Pole. Also, the more people we have, the greater the risk that some will not reach the destination and drop out. So, regarding preparation strategy, it's easier and more effective to prepare three or four young people. This minimizes the cost of the project and increases the quality. In addition, we already have experience working as a three- or four-member team. This size has worked and we're confident in it. How dangerous is an unassisted expedition like this? It turns out that you'll be completely on your own on the floating ice. As somebody said, adventure is a badly organized trip. Because when everything is well prepared, the element of adventure is missing. In other words, before we kick off, we'll know exactly what to do and how. Of course, there is risk. The most dangerous thing is to fall through the ice, as well as the high physical strain on the body. For about 70 days (give or take five days), we'll ski across the ice with the original load. Each member will have to carry up to 110 kg — backpack plus extra sled. It's difficult to move with this load for very long. Still, we're preparing for the dangers and difficulties. In addition, our team already has experience in extreme conditions. How are you preparing physically for such strain? We all run marathons and strengthen our cardiovascular systems. Nearer the time we set out for the New Siberian Islands and after the trip there we'll train with the weight we'll need to drag throughout the expedition. These will be standard exercises but with heavy weights. Usually, you ski pulling a large auto-tire to imitate a loaded sled. During past expeditions, we've seen that 70 percent of our team's success (I'm not talking about everyone) hinges on inner, psychological and spiritual preparation. That is, you know why you go on an expedition and you know that you'll encounter difficulties, that it will be no picnic. When we were in Yakutia everyone wished us smooth sailing, but, as we said, we weren't after smooth sailing. We move into the Arctic to overcome, primarily to overcome ourselves, our apprehensions. In this respect, the difficulties that you encounter on an expedition won't come as a surprise, won't throw you off balance. Do you also organize para-expeditions for people who have disabilities? Yes, we have a charity project in which people with disabilities participate. We organized an international canoe expedition in Western Siberia. There were seven participants, including three with severe disabilities (two with cerebral palsy and one blind since birth). Prior to the expedition, the boys moved around the city with difficulty but here they had to be full members of the team, paddle and work from morning until late evening. Nobody believed in us — not the public or even their parents. 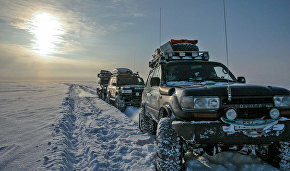 Nevertheless, in 16 days, we traveled 600 km, using only our muscle power — no engines or support vehicles or motorboats. There was a team member with disabilities in each canoe. People who know something about canoes know that if at least one participant doesn't paddle, the canoe won't move straight but will spin around. So it was an all-out effort. On the first day we went just 3 km instead of the planned 60. However, I knew that from the second or third day we would be able to do about 60 km a day. And we did. We got up at 6 am. Everyone had a role regardless of their disability. Everyone felt like a full member of the team. As a result of the expedition, we realized that a person's [physical] limitation is primarily in his mind. If a person limits himself in his mind, in his head and if he considers himself inadequate or doesn't believe in his own strength, then he will indeed fail. When we were in Yakutia, and on other expeditions, I also saw myself as someone with disabilities, and I always aimed for more. I set higher standards, as other members of the expedition did, doing things that few people believed [were possible]. So the subject of overcoming [oneself] strikes a chord with me. After all, our entire life is about disciplining [ourselves]. Love is also an endeavor. To love, you have to discipline yourself and get better. Life is impossible without an effort. With our team, this overcoming is, above all, about self-development. So we find ourselves in these expeditions. What other projects do you run? I'm the founder of the Junior Expeditions project, a school for young explorers. It's a national project that covers five cities in Russia. Within months, our schools will open in another five cites. These are private schools that we organized within a short time and with limited resources, but the project has proved successful. Junior Expeditions is a year-round program that children can attend from age three. It is essentially a sport-and-research school where children are taught interaction with nature and the environment. It helps children to live a healthy lifestyle and learn more through such interaction with nature. In our project, children are researchers.